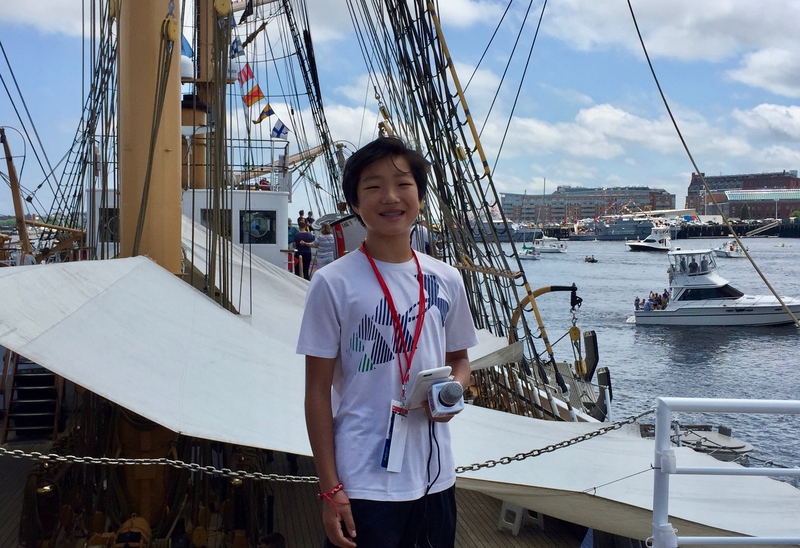 Sail Boston | Kid Reporters' Notebook | Scholastic Inc.
On June 18, thousands of people flocked to Boston Harbor in Massachusetts for Sail Boston 2017. The event was part of Tall Ships Regatta, a race across the Atlantic Ocean organized by Sail Training International. More than 50 tall ships paraded into the harbor, giving visitors a chance to admire and explore the magnificent vessels. Most of the ships will remain in the area until June 22, when they will set sail for Canada. Boston is the only United States city on the global tour. For many of the crew members, the experience offers a once-in-a-lifetime opportunity. “There were a lot of challenges on the way here, including the weather, but you get used to it,” said Zach Harrington, a college student who is serving as a volunteer crew member on Spirit of South Carolina. “We [the crew] have to maintain the boat, raise the sails, and do a lot of tough jobs, but it’s all worth it.” The ship participated in a race from South Carolina to Bermuda and then from Bermuda to Boston. The USCGC Eagle was the largest ship at the event and among the most popular. (USCGC stands for United States Coast Guard Cutter.) The Eagle, which led the parade of ships into the harbor, is the only vessel actively used for military purposes. Future Coast Guard cadets train on the ship.